«There is so much work to be done» illustrated quotation. Emancipation of women, free quote pictures for Facebook, Twitter, LinkedIn, Reddit, Pinterest and other social networks. 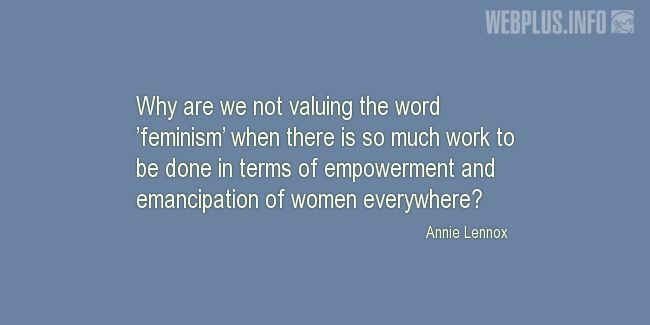 Why are we not valuing the word ’feminism’ when there is so much work to be done in terms of empowerment and emancipation of women everywhere?